What Happens To My Home In Bankruptcy? What Happens To My Pension In Bankruptcy? When Will My Bankruptcy End? Can My Bankruptcy Be Cancelled? Can My Bankruptcy Be Reversed? Have you received a debt collection letter or are you getting calls from Blair Oliver and Scott? Do you need advice & help on how deal with Blair Oliver and Scott? Do you need to make a payment? Or are you wondering why they keep calling and sending you letters. Below you'll find out everything there is to know about Blair Oliver and Scott, including their contact and address information. Who are Blair Oliver and Scott? Blair Oliver and Scott are not bailiffs or external debt collectors. They are one of the in-house collection teams for Halifax and the Bank of Scotland. If you owe Halifax money from an unarranged overdraft, have missed Halifax credit card or loan payments, or Sainsburys Credit Card they refer you to a part of the group (Blair Oliver and Scott) so that you think that you have had outside debt collectors instructed. A lot of big banks and lenders do the same. They have internal collection departments, that use a different name/trading style as they know it puts extra pressure on people if they do this. Fed up of the constant letters and calls! Take the online test and see how to stop them for good. Please note that we are not associated with Blair Oliver and Scott in any way. The information on this page is provided to help people contact their creditors. If you’re finding it difficult to make your monthly payments to Blair Oliver and Scott you may need help looking at your budget and managing your debt. We deal with such companies all day, every day and we know exactly how to approach them. If you’re struggling to repay a debt and would like us to deal with Blair Oliver and Scott on your behalf, or simply need a bit of advice, just click on the GET HELP NOW button below. Need Help With Blair Oliver and Scott? If you want more help on dealing with Blair Oliver and Scott, call our FREE Helpline on 0800 368 8133 (freephone, including all mobiles) or take the online debt test and find your best solution. 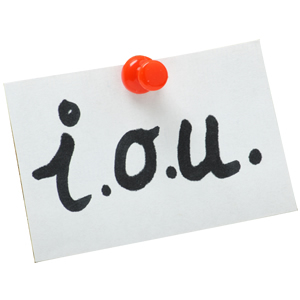 Which Debts Are Not Included In Bankruptcy? How Long Does It Take To Go Bankrupt? No time to talk, we'll call you back. Got a question about debt collectors? Just click here and our experts will send you their answer by email within 1 working hour. Need help with Blair Oliver and Scott? Complete the form and one of our advisors will call you back. PERSONAL GUARANTEE: Your details will be kept confidential. We will NEVER pass your details on to third parties unless you ask us to. We NEVER cold call or cold text. I Contacted them at 5 pm on a Thursday night,they arranged a meeting Friday morning with all the relevant bodies their because my case was the following Monday .I can't sing their praises high enough they contacted the courts same afternoon. Fantastic response, I avoided bankruptcy on the Monday and was given time to arrange an Iva. I risked losing my home,my mother and fathers home all hope seemed lost until I made that fateful phone call. I can now sleep at night. You can also get free impartial debt advice by following this link to the Money Advice Service. Bankruptcy Advice Online © 2019 All right reserved. 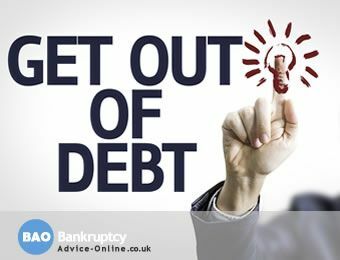 Bankruptcy Advice Online and it's partners provide insolvency solutions to individuals throughout the UK; specialising in IVAs, CVAs, Liquidations, Protected Trust Deeds, Bankruptcy, Sequestrations. We do not administer or provide advice solely relating to debt management products, such as Debt Management Plans or Debt Payment Plans under the Debt Arrangement Scheme. We only provide advice after completing or receiving an initial fact find where the individual(s) concerned meets the criteria for one of our insolvency solutions, therefore, all advice is given in reasonable contemplation of an insolvency appointment.